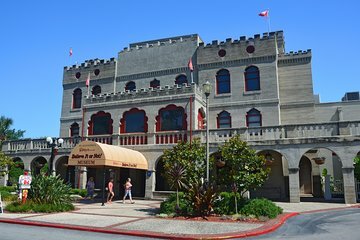 See the site where the odd, the unusual, and the downright unbelievable call home at the original Ripley's Believe It or Not Odditorium at its location in St. Augustine, Florida. This self-guided tour includes access to Robert Ripley's private collection, in addition to three stories of fun and interactive exhibits. Use your voucher anytime during normal operating hours. I want to get tickets online for the red train tour. I ended up getting tickets for the odditorium. I had already seen Ripley's so I was rather disappointed. I do recommend it for anyone that hasn't seen it before.